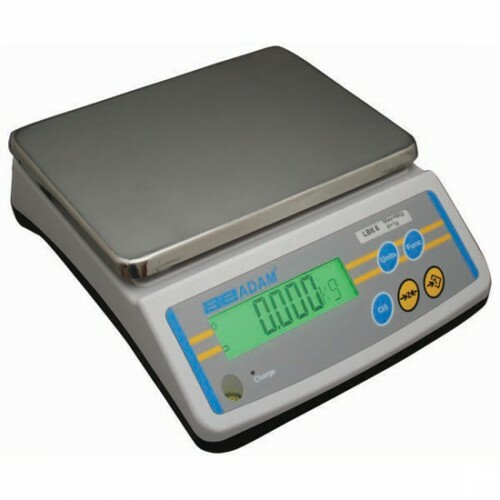 The Adam LBK series offers quick and easy weighing straight out of the box! Lightweight and portable, the LBK is a winning value for factories, warehouses, laboratories, and offices. Easy to clean with the removable stainless steel pan and sealed keypad. The large backlit display is easy to read and clearly shows weight and weighing units that are being used. Built in rechargeable battery allows the Adam LBK to be used any where without the need for external power sources. With auto power off to save the battery life, which is approximately 90 hours before it needs to be recharged.